Futurescaper was founded in 2011 in London, UK, based on its founders’ PhD research at MIT and MBA at the University of Oxford. The company provides software to clients engaged in foresight, scenario planning, and other complex strategic issues; particularly those involving multiple stakeholders and geographies. Noah is an MIT PhD strategist and public policy adviser with experience in corporate, government and non-profit strategy, whose passion to help organizations think about the future and understand the present led to developing Futurescaper. Noah leads Futurescaper's thinking and product vision. Nathan is an entrepreneur with an MBA from the University of Oxford and a background in software development. Nathan is passionate about harnessing technology to improve the intelligence, robustness, and agility of organisational strategy and planning, and leads the technical development of the Futurescaper software. Giorgos brings expertise in professional services, policy, and technology as an innovation consultant. He holds MA, MSci & MPhil degrees from the University of Cambridge, and has been involved in three other startups and social enterprises. Giorgos manages Futurescaper's operations in product, delivery, and business development. Devon Barrett is a developer who has yet to recall a moment where he has shied away from an interesting technical challenge. Before Futurescaper, he worked with early stage start-ups around the world, helping to create solutions from the ground up. Devon works on the technical development of the Futurescaper software. Experts in both Futurescaper and their subject-matter, with collective proficiency in 7 languages; cultural backgrounds spanning as many counties; expertise in Complexity, Defence & Security, Economics & Finance, Foresight & Futures research, Governance, Innovation & Creativity, International Development, Leadership, Pharma & Biotech, Public Policy, Strategy, Sustainability, Urbanism, and more; our consulting partners help clients get the most out of using Futurescaper. Desirée is an experienced consultant and project/programme manager with a focus on managing and backstopping complex international development projects with budgets up to £60 million for non-profits, social enterprise, governments, and private sector. Her areas of expertise include public health, development economics, and political economy. She has 14 years of international and domestic experience, including several countries throughout Sub-Saharan Africa, the Balkans, Central and South-East Asia, Russia, USA and UK. She holds a Masters in Development Management from the London School of Economics and is currently completing Public Health training at the London School of Hygiene and Tropical Medicine. Thomas is Professor at the University of Applied Sciences in Geneva and Lecturer at Sciences Po in Paris, exploring how the growing availability of data impacts corporate and public organization policy and decision-making. He focuses on biomedical research and healthcare, after 10 years as clinical research director and strategist at a global MedTech company. Thomas holds a PhD in experimental medicine from Imperial College London, a MSc in electrical engineering and computer science from MIT, and a Dipl.Ing. from ESPCI ParisTech. Adrian Lupusor is the Executive Director of think-tank Expert-Grup, and a specialist in macroeconomic policies, development economics, and economic and social policy research. He has supported UNDP Moldova in developing its Third Millennium Goals Report, the National Human Development Report 2014, and discussions about Post-2015 agenda. 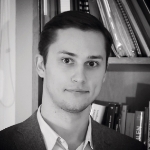 Adrian has a MSc in economics and finance, and is working towards a PhD, both from Charles University in Prague, Institute of Economic Studies. Dr. Wendy Schultz has over 30 years of foresight practice all around the world. Wendy earned both her MA and PhD in Alternative Futures at the University of Hawai’i at Manoa. She is Director of Infinite Futures; Director of Training for Vision Foresight Strategy; Emergentista for LASA Development; a Principal of SAMI Consulting; a Fellow of the World Futures Studies Federation; a Fellow of the RSA; and a member of the Association of Professional Futurists. Adrian has over 25 years experience working in 35 countries on projects developing collaborative strategies, both as an official and as a consultant. He has worked as a scenario planner with Business Environment Europe / Global Business Network, as desk officer for India in the European Commission, and as a self-employed consultant. Alex helps clients anticipate and assess risks in the security and defence sector. He provides innovative approaches and delivers actionable intelligence to support critical decision-making processes. Alex was previously a senior military analyst at IHS Jane's, and has a Master's Degree from the London School of Economics. 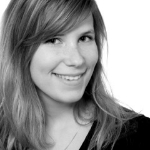 Petra Wiesbrock is a strategy consultant specialising in using digital tools for consultations, scenarios, and strategy. She has direct experience of co-ordinating stakeholder participation in territorial planning projects – notably including citizens’ involvement. Petra also applies tools for visualisation of both spatial and causal relationships, to help decision makers to literally “see” the impact of choices made on the physical space and other spheres. Shuzhi Zhou has a PhD from King's College London in Behavioural Neuroscience and an analytical background in Defence. Shuzhi currently works in Technology Transfer, bridging innovation between academia and pharma. Shuzhi has also launched a web based funding resource for students and licences it to universities.